If you see that planets in your natal chart has the same degree as the eclipses, get ready to feel the power of eclipses, as they rarely leave no trace. You will observe an eclipse act in a retrograde manner, beginning with a higher degree and moving backward to early degrees. Lots of people don′t really feel each and every eclipse that occurs, but only those that touch planets, our satellite, the Sun, or the Rising sign in their natal chart. You don′t really need to feel all of them, as eclipses have quite strong impact on people. So only people, who have the coincidence of the eclipse degree with something in their natal chart will experience this impact to some extent, and that′s a lot of people. A family of signs will continue coming in pairs, at the times of new moons and full moons, each 5 ½ months for 1 ½ to 2 years, until they are finished. The changes brought by such eclipses will end, as soon as this time comes. After the end of a family of signs, it won′t come back for approximately 7 or 8 years. The years that have eclipses in your sign or ascendant will be really crucial and life-changing for you. For example such signs like Pisces, Virgo, Aries, and Libra experienced this in 2015 and 2016, and these years will influence their life for a long time in future. Also in 2011, we observed impressive instances of two families of eclipses coinciding, with a solar eclipse on June 1 (Gemini) and a lunar eclipse occurring two weeks later on June 15 (Sagittarius) and a third eclipse – a solar one on July 1 (Cancer). 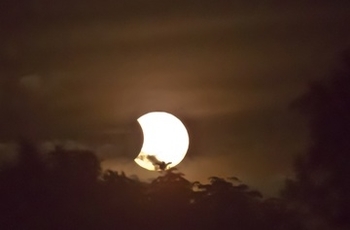 Three eclipses, one by one, it is an amazing instance, especially with 2 weeks intervals. These eclipses ended the period of Cancer-Capricorn family. If you can remember, it was a difficult time for many people, as we had to be flexible and accept new things and make decisions in our life way faster.